Your master plan to having the best lawn on the block is here. 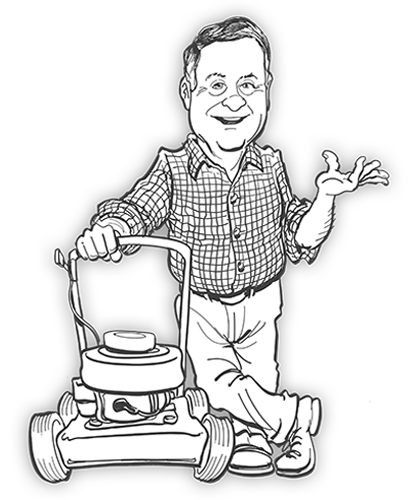 Don’t keep making the same mistakes that lead to extra work and a not so great lawn – follow Kansas City’s legendary Home, Lawn and Garden Expert Toby Tobin’s time tested program to a fantastic lawn and landscape. Having a great lawn is a lot easier than you think and it all starts with a great plan. Whatever type of grass or lawn you have you can make it look better by following Toby’s program. Trust us, you’ll spend less money and time and have a better lawn! Get started now! Click Here to View the 2019 Spring Lawn Program Booklet Now! We’ve compiled an easy to follow guide for you to have the vary best lawn possible. Divided up in easy step-by-step instructions – Toby’s 2018 Fall Lawn Program is the best way to make your lawn beautiful. If your lawn is a complete mess filled with weeds or disease and you’d like to completely start over – please refer to our “Lawn Renovation Program” in the link below. Having a great lawn is easy if you follow Toby’s simple steps. If you don’t subscribe to our website – do it today. Each week we send you one email with our video tip of the week, great savings and even more tips. All Free!